Centrally located on Bomlo in Western Norway, NMEC is an industrial cluster with a strong commitment to the maritime, oil and gas, fishery, aquaculture, defence, renewable energy and energy recovery industries. Services designed for shipping and offshore industry have always been a significant part of Wärtsilä’s work in Norway. Our portfolio is the broadest in the market, covering everything from spare parts, maintenance and technical support to upgrades, refurbishments and long-term service contracts. Our competence is built on continuous development over generations. Our attractive workshop at Rubbestadneset has staff with extensive expertise in mechanical engineering. Our services include in-situ machining, upgrades, maintenance, laser measurements and alignment. A separate department also carries out overhauls and optimisation of propellers and thrusters, with specialists in the field. Our modern workshop also means that the job is done in a highly-efficient way. In addition, we have a large professional environment within electrics and automation at Stord. We support our customers with optimisation and renewal of propulsion and electrical/automation systems. With this totality, we make you feel secure. Secure that the time at the workshop will be as expected. Secure that the time spent in dock is reduced to a minimum. Our core values, Responsibility, Engagement and Well-being, will stand out in the customer’s project phases. Westcon Olvondo handles everything from individual services and turnkey components to complete projects including testing. Our speciality is flexible machinery that is particularly well-suited for relatively large and complex products and components. In addition to being one of the manufacturing partners, we have extensive experience in industrialising new products and market solutions, and we work hard to document best working methods together with our customers. The industry at Rubbestadneset is widely known for delivering quality, but we always focus on ensuring optimal overall costs for our customers. Contact us on http://www.olvondo.no/contact or call +47 53 01 44 40. LOS Elektro is one of the leading suppliers of electrical engineering services to customers within both the marine industry and the maritime industry, the energy sector and the construction industry. When it comes to maritime operations such as classification, operation and maintenance, we carry out maintenance of generators, thrusters and other major electric motors on ships and offshore. The fitters and engineers at LOS Elektro have extensive expertise and long experience with ship power products such as frequency converters, switchboards, generators, engines, propulsion equipment and alarm systems. This is because LOS Elektro has helped to develop these products over a number of years and participated in the launch of the plant, and contributed to training in software. We can demonstrate effective project implementation and have close, good cooperation with the other players at Rubbestadneset. Contact us on http://los-elektro.no/kontakt, or call + 47 53 42 21 00. TESS is a wholly Norwegian, nationwide supplier of products and services. Core products are hoses and hose fittings for all purposes, with associated services. As part of the services portfolio, we offer TESS Hose Management (THM). This is a future-oriented and cost-reducing concept to optimise the hoses’ value. Using a digital platform, each group of hoses is monitored to optimise hose life, reduce the risk of down-time and contribute to significant simplification of procurement. In addition to being Northern Europe’s largest hose supplier, TESS is a market leader in welded products and offers a large selection of products that are part of every company’s operational and maintenance needs. Contact us on http://tess.no/tess-servicesenter/tess-waertsilae or call +47 53 42 81 10. UNITECH’s Single Source Solutions are an integrated range of products and services enabling savings up to 30 % on subsea distribution projects. Our Single Source Solutions reduce project risk by eliminating interface issues and enables contractual optimization by reducing spare inventory requirements across multiple field developments. Our Single Source Solutions includes manufacturing and the configuration of flying leads using UNITECH MQC stabplates, UNITECH hydraulic couplers and UNITECH UH-500 Series connectors. Range of tie-In connections: platform-on-shore; platform-platform; platform-subsea structure; and subsea – subsea. Base support service and integration testing. Contact us on http://www.unitechsubsea.com/contact/ or call +47 55 30 05 70. LOS Marine’s business began with the takeover of Wärtsilä’s ship-servicing department at Rubbestadneset in the summer of 2014. The company has maintained good cooperation with Wärtsilä and the other skilled players at Rubbestadneset, so that LOS Marine can provide customers with the best possible overall service for their vessels. By 2020, LOS Marine will also offer ship servicing in DOCKExpress. LOS Marine can perform all types of servicing work in parallel on vessels within most categories. The company offers a wide range of services such as upgrading and maintenance of all types of ships’ engines, electrical and automation systems, propulsion systems, propellers and gear components. LOS Marine machines on board, or in its own machinery centre, carries out pipe and steel repairs, also rebuilds, and assembles equipment. The company also offers services such as bottom treatment, sandblasting of tanks, high-pressure flushing, repairs and painting hulls, etc. In short, what our customers need when they arrive at the quayside. Avoid downtime in operation, accidents, unnecessary cost, strain, irritation or loss of reputation due to wrong solutions on AV equipment on board! Through 30 years with sound and vision solutions for the maritime business, Advision have gained insight and experiences and made this an important part of the company’s philosophy. Read more about Advision at advision.no. Marine Manager AS is a supplier of a brand new and unique project and efficiency improvement tool for the maritime industry. The tool is called Marine Manager, are very user friendly, and uses well proven technologu for digitalizing work for all involved parties in new build, modification and maintenance of ships. Through Marine Manager all project members will easily get access to all relevant inforamation at all times, through any device. The system satisfice all needs for system completion. The group has had a strong focus on that Marine Manager shall optimize and make work more efficient for all involved parties, from shipping company to yard to supplier and subsupplier. Together they have developed a tool that provides a unique opportunity to manage projects efficiently, while reducing both time and cost. Marine Manager are the future within project management in the maritime sector! For more information, see marinemanager.no. Ilder AS are a company with excellent competence within design and development of advanced information systems. Ilder is managed by Tor Gjøsæter who holds a PhD within design research and user experience from Bergen University, and Christian Bjartli are responsible for data science and holds a master in this from Harvard, USA. Ilder plans, engineers, designs and supports in the development of advanced IT systems using modern web and app technologies. The fishing industry is strong at Bømlo. 28% of Norway’s pelagic trawler quotas is here, and by 2015 the industry is trading for MNOK 400. The industry employ 190 persons, of which 150 on board a total of 125 registered fishing vessels, and 9 seagoing vessels. The boats generate value for surrounding industry for 100 MNOK per year. Bømlo Fiskerihavn AS are important customers for the industry at Rubbestadneset, and together we will work to use technology and expertise across the industry to create new workplaces locally at Bømlo, and attract new businesses to the business area at both Langevåg and Rubbestadneset. bluesystems AS is an enterprise that delivers a wide range of IT services, with a particular focus on digitization of maritime operations. The company is specialized in the operation of IT systems, development and operation of software and ROV technology within the maritime industry and aquaculture. Amundsen Diving is a business that carries out a wide spectrum of services in diving and ROV services. We carry out our work from our vessels, the M/S Scuba and the M/S Basen, as well as via our container-based ROVs and diving system. We hold ourselves to very strict requirements in terms of both safety and quality when it comes to our own work, and our extensive experience enables us to act as construction collaborative partners when problem-solving as part of underwater operations. 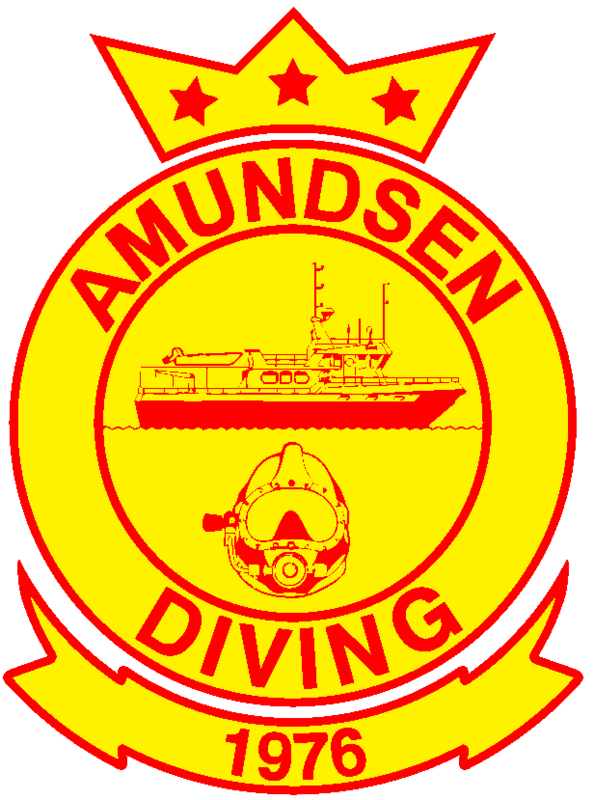 Amundsen Diving is based at the express boat harbour in Rubbestadneset, in the municipality of Bømlo, halfway between Bergen and Stavanger. Further contact details by clicking on this link. Veteranlaget Wichmann Wärtsilä has a workshop for practical activities, a workshop for theoretical activities and an auditorium for courses and plenary lectures. Contact us for a chat on senior policy! Bømlo vidaregåande skule is a school for learning, coping and developing together with others. We succeed with this through skilful employees that engages themselves in each student, a good student environment, and last but not least, a good teaching scheme and school building that facilitates social interaction. In addition, the school has a good cooperation with public bodies and private companies for providing students taking vocational courses with relevant practice. The school has strong traditions for entrepreneurship and innovation, and youth enterprises and students participating in these, have received awards for their work. For more information about Bømlo vidaregåande skule, see https://www.hordaland.no/nn-NO/skole/bomlovgs/. Rubbestadnes vidaregåande skule (RUV) is a vocational school with a long and proud tradition in educating mechanics, electricians, automaticians and sailors. The school, closely knit to the local industry in Rubbestadneset, was established in 1950, and have since been known for educating able men and women to supply local, national and international companies with workforce. Rubbestadnes vidaregåande skule also runs commissioning courses, and does final examination after apprenticeships. To do so, we have certification from Sjøfartsdirektoratet (The Norwegian Maritime Authority), and DNV GL (The Norwegian Veritas). We can also accomodate up to 26 students in our own dormatory. The school has long and healthy traditions in working very closely with local companies and businesses in Sunnhordland and all along the Norwegian west coast, both on land, and at sea. The school emphasizes innovation, development, and entrepreneurship, and quite a number of the local companies springs from this school, and thrive in mutual benefits. For more information, check www.hordaland.no/rubbestadnesvgs. The school serves as the municipal provider of language training for adults who are granted residence, and thereby have both a right and an obligation to tuition in Norwegian and social studies. The obligation is prescribed in the Introduction Act and the Education Act. The school’s main assignment is to qualify and facilitate and thereby make participants able to use their skills in all areas of the Norwegian community. Participants in the Introduction programme are offered language and work training in several local businesses and municipal units. During this programme we get good knowledge about their competence and experience. Through a close coopertaion with NMEC we want to offer relevant competence to the member companies. We offer several courses for local companies who have employees (Norwegian and immigrants) who need basic training in reading, writing and computer skills. The Bømlo apprenticeship training office offers a range of services, advice and guidance for apprentices and firms offering apprenticeships in the municipality of Bømlo, in partnership with the school system and industry. The Bømlo apprenticeship training office also manages the coordination of partnerships between school and working life, with a particular focus on recruitment, curricular work and design. Automation, Board fitter, Institutional chef, Aquaculture, Motorman, Child and youth worker, Health, Welding, Industrial plumber, Office and administration, Sailor, CNC operator, Industrial mechanic, Plumber, ICT service, Sales, Aquaculture and fishing. Alt. 2: Turn off to Fv 47, then Fv 541 towards Buavåg – take the ferry to Langevåg.